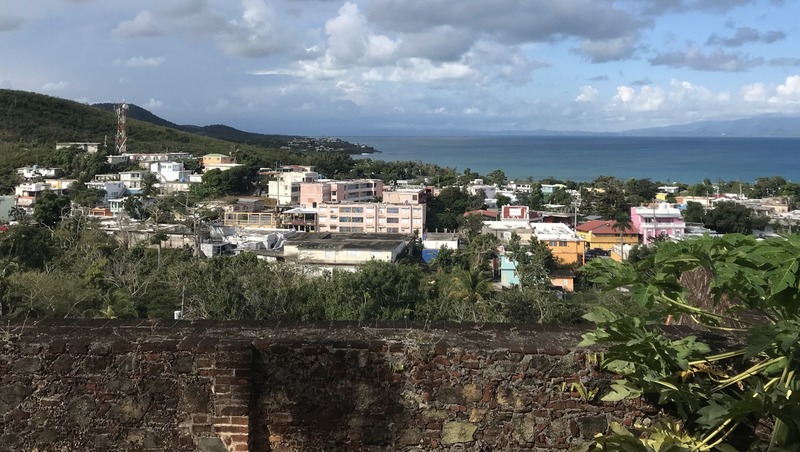 Vieques, Puerto Rico is one of the first places that has learned that in today's world; water is no longer a renewable resource and shouldn't be taken for granted. After September of 2017, when Hurricane Maria hit the island, the pipe that brings water from Puerto Rico to Vieques was disconnected, and people were left to rely on the water they had available and any outside aid. The problem is, there is very little water available on the island. This can be seen as a consequence of three different environmental factors. The first factor is the lack of naturally occurring water on the island after things like deforestation, and a lack of use of the natural rainwater by the community. The second is that half of Viequeswas used as a bomb testing site for the U.S. Navy. This has left the groundwater in that area toxic, and the land unavailable. The third factor is the impact that the horses, both wild and domestic, have had on the environment. They spread an invasive species, called mesquite, and their overpopulation is causing pollution of the groundwater through feces. When it comes to receiving outside aid, Vieques is at a disadvantage because there mainly two ways onto the island, through ferry or puddle jumper plane. The planes were the main mode of aid transportation, but they are tiny and could only deliver small amounts of clean water at a time. Another transportation problem on the island was the roads. They are small and overcrowded by vegetation and horses, and after the hurricane, were impassable. Both of these transportation problems made getting what little aid was afforded to the island nearly impossible. But all this information is just words unless you do something about it. It's important to recognize that regardless of where you are, you can make a difference. It's easy to complain about the large organizations for the role they play in relief, but what is more important is that we hold them accountable. Some organizations approach disaster relief with ideas already in mind, but it is up to us to tell them what the needs of the community are. We have to insist that they build a relationship with the community first, and not after. People go on vacations and seldom realize the positive the impact that tourism could have, if done correctly. Keep in mind where your money will go in the community and make sure you are supporting locals rather than corporations. Its also important to realize the environmental impact of vacationing and adopt the “leave no trace” mindset. The island struggling to gain access to water and food, so consider bringing your own of both, and if you’re going to bring plastic, make sure you carry it off. The struggles are not over for Vieques, as climate change is only causing storms to increase. After Hurricane Maria, it was said that the people of Vieques were very resilient, and while I've found this to be true, resiliency is a term used to describe things over short periods. In addition, I believe the community to be resistant. Each year they go through hurricanes and tropical storms, and they still have a thriving community and this is what it means to be resistant. If we all take this lesson and apply it to the way we approach environmental problems, we can begin not to only solve problems for the short term, but find permanent solutions for reoccurring problems. These photos and the story represent the collaborative experience of the SUNY College of Environmental Science and Forestry's students, faculty, and friends. In January of 2019, each of the people in this picture wanted to make a difference and traveled out of their comfort zones to Vieques. We spent a week asking the community what they needed and getting involved. While doing so we fell in love with the island, and continue to maintain a collaborative relationship in every way we can.